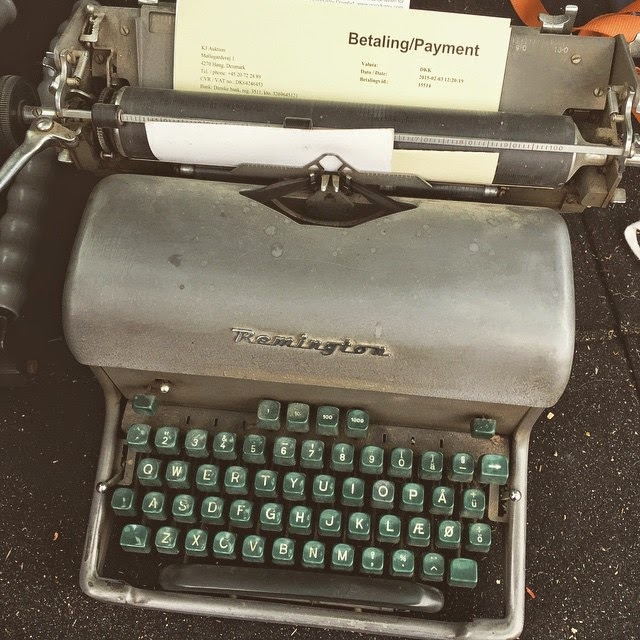 on the same day, i picked up a vintage typewriter that we bought on an auction because it reminded me of one dad had at the enterprise during my childhood and i also got a new 21.5" iMac to replace my severely aging 24" iMac from 2008. talk about a contrast in technologies. 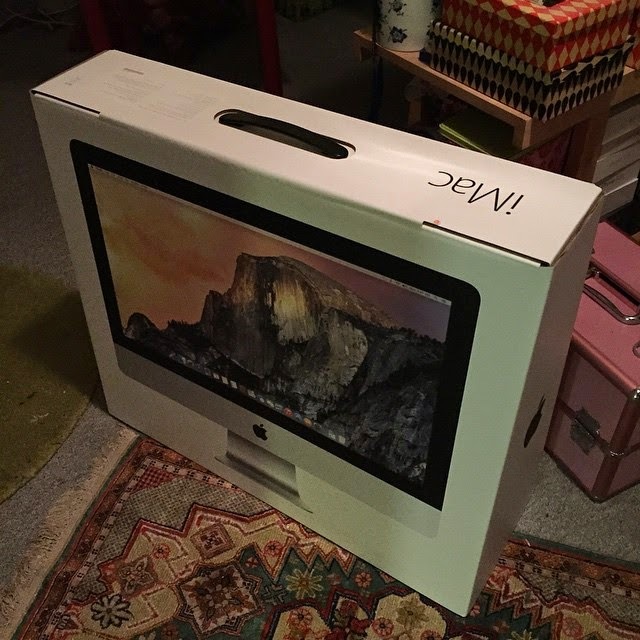 i can't believe how thin and sleek the iMac is! and fast. and quiet. it is good to upgrade, but it's also nice to do a little old school typing. i think it's a little bit of a shame that today's computers aren't going to be able to be acquired in the future as working machines that can be used in the same way as a good old fashioned typewriter. ... then there were the portable typewriters used by students to write term papers - sometimes with carbon paper. I think typing was perhaps dreaded more than the topic of the term paper. Make a typing mistake? What a pain - erasing a letter or two - then attempting to place paper back in its original location so that words didn't have floating or sunk letters bobbing up and down. If you decided to change paragraph locations or had bad luck erasing a single letter and crumpled a type paged... that meant a complete re-type on a new piece of paper. Typewriters definitely belong behind glass in dusty museums!